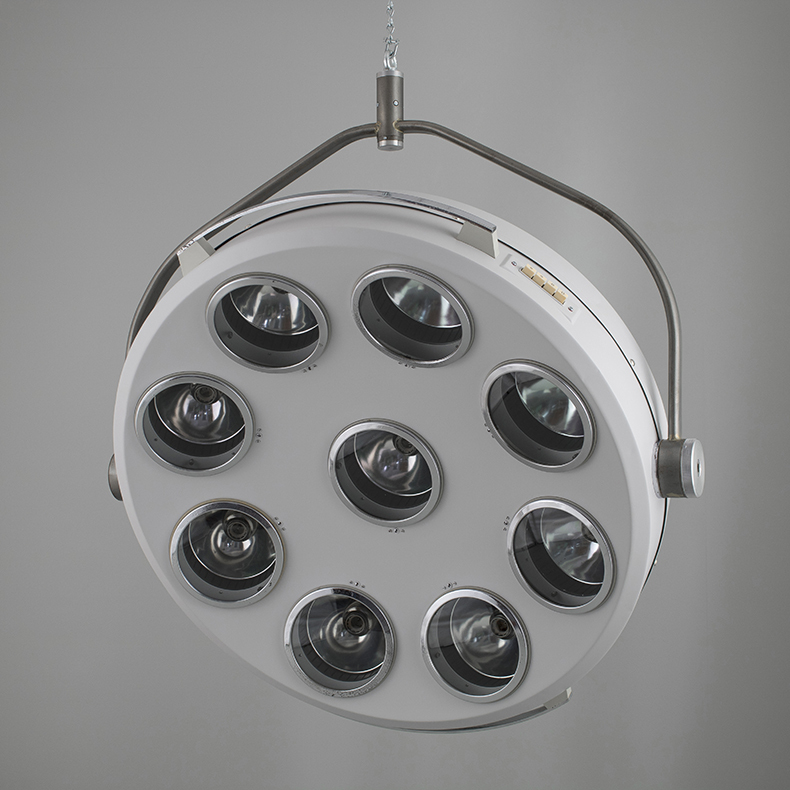 XXL salvaged surgical pendant light - A real one-off extra-large 1950s surgical overhead light salvaged from a French hospital. 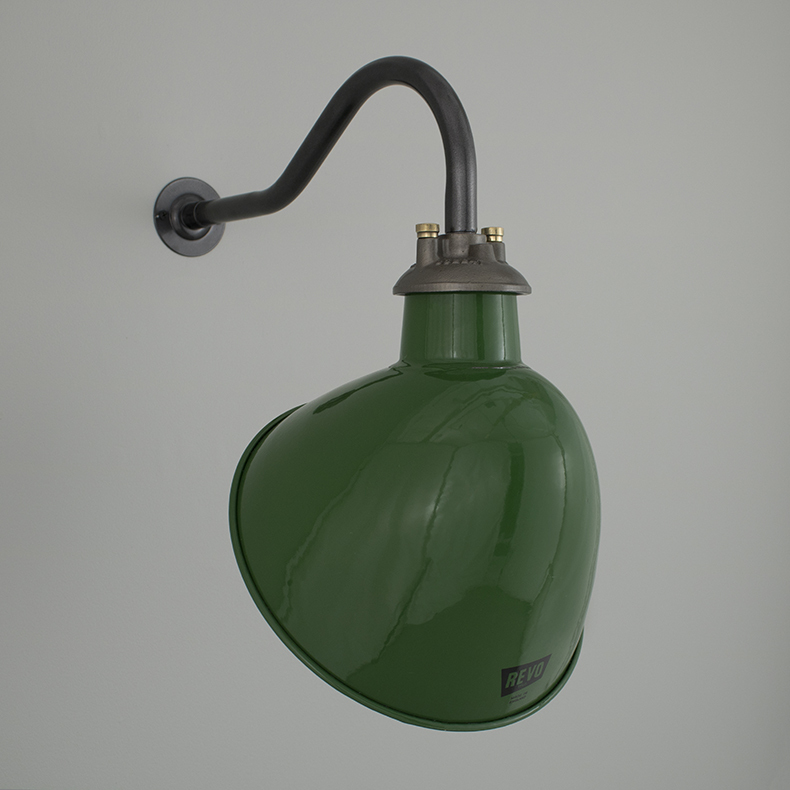 Vintage REVO enamelled wall lights - Vintage British wall lights with a vitreous enamelled shades. Originally made by REVO. 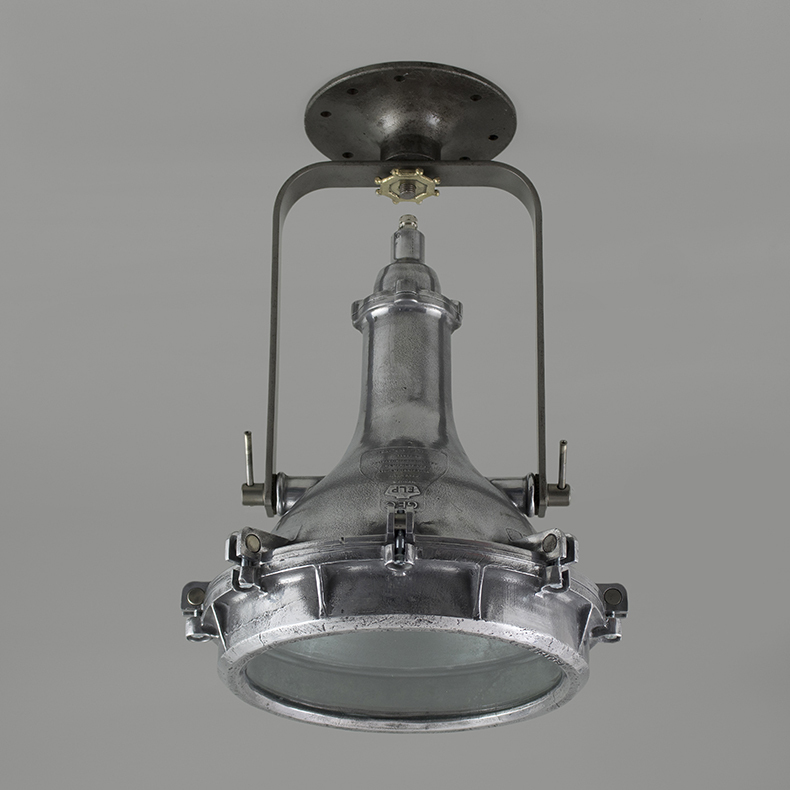 Vintage floodlights by G.E.C. 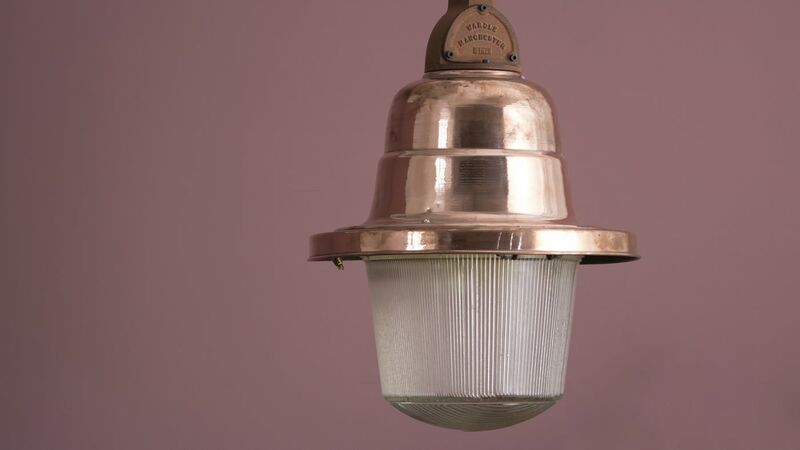 - Stunning 1940s ceiling mounted lights by G.E.C. salvaged from a decommissioned industrial site in Derby. 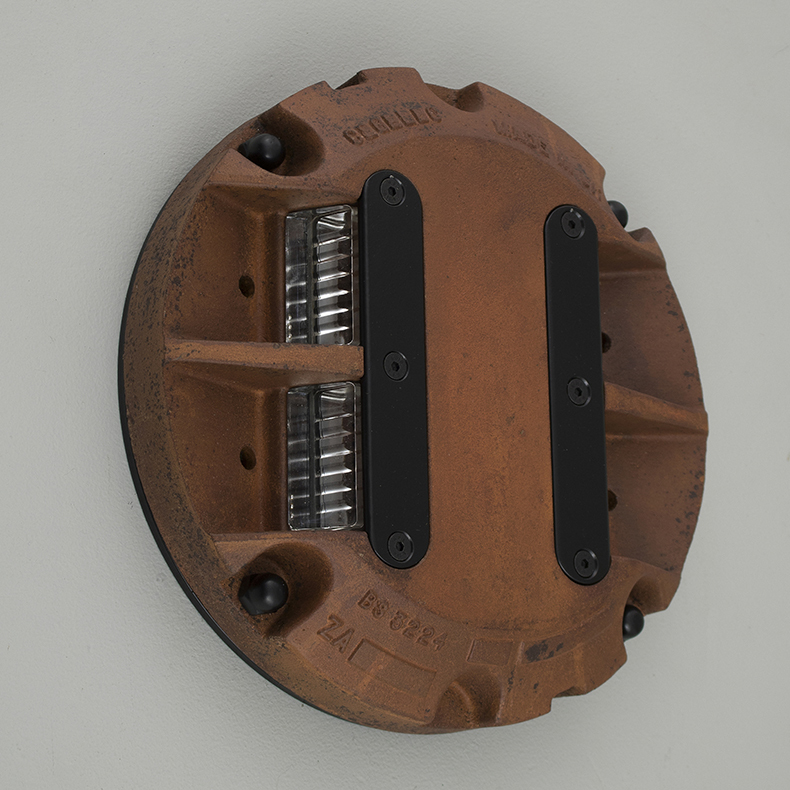 Airfield threshold lights - British made airfield threshold lights by CEGELEC that were originally installed at an R.A.F base in Northwest Wales. 1950s street lanterns by Wardle - A lovely British street lantern by Wardle from 1954. Contrasting materials create a stunning pendant with each element of the light sensitively restored. 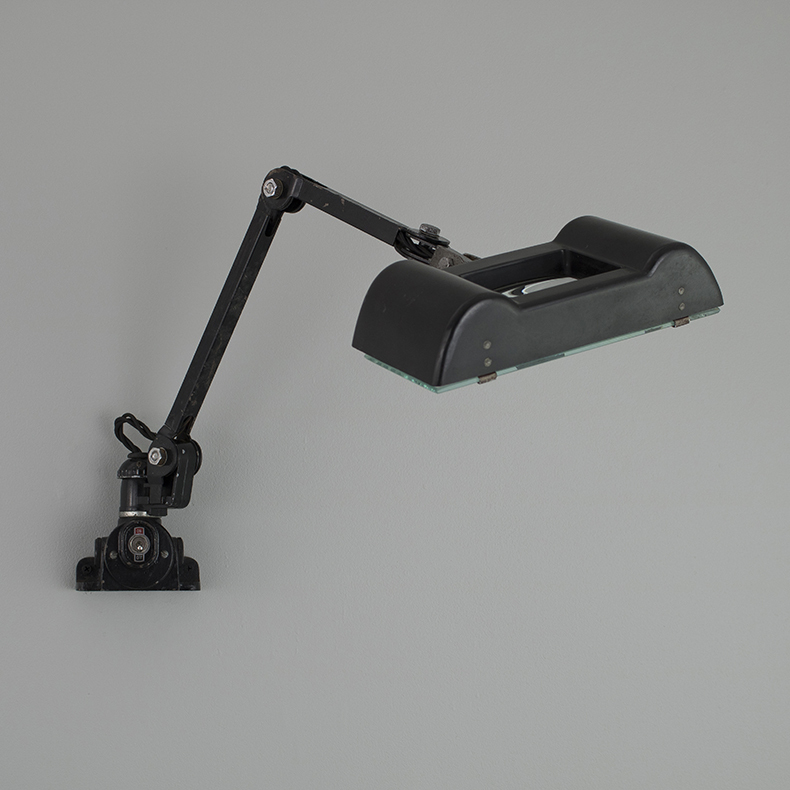 1940s magnifying work light by EDL - An original 1940s 'Lens-Lite' by EDL - a superbly designed magnifying work light. Including a Perihel medical heat lamp from the 1940s, and unique airfield traffic lights salvaged from an RAF base. 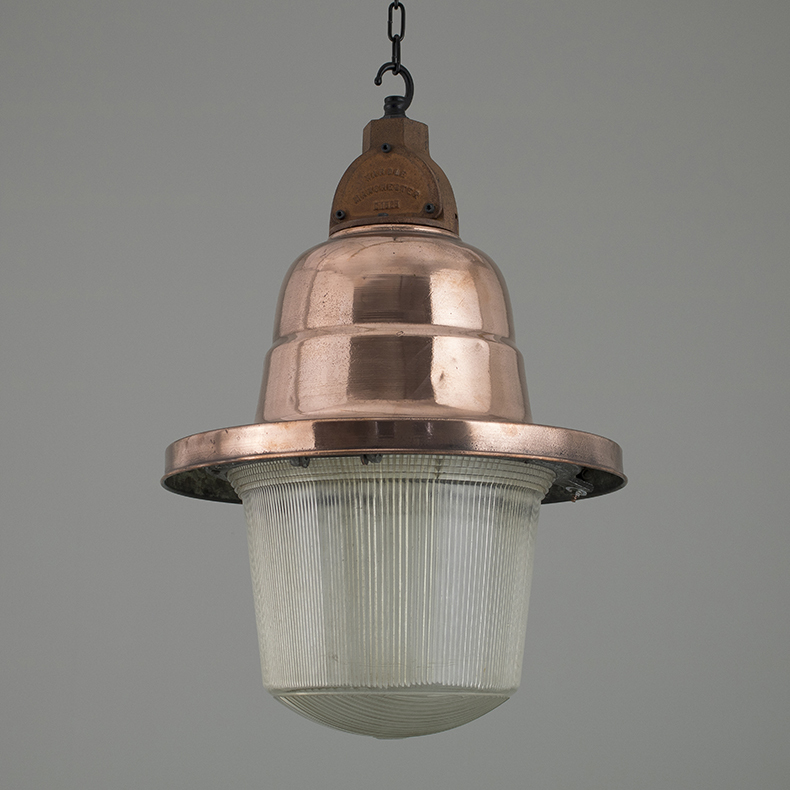 Our latest lights - From large enamel pendants salvaged from the Eastern Bloc to industrial street lanterns from Poland.